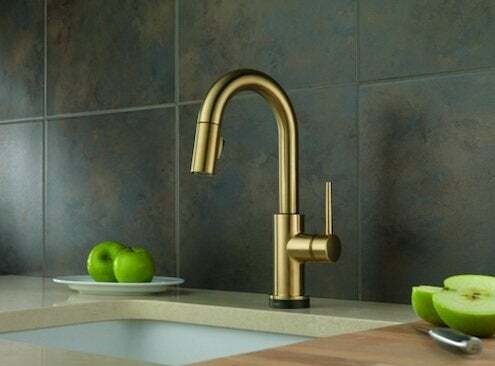 After so many years of classic chrome and nickel faucets dominating in kitchens and baths, bronze finishes are finally starting to get their due. While the sleek, silvery look will never go out of style, homeowners have a lot more choice now that manufacturers have embraced bronze and keep introducing new variations on the finish. As real bronze ages, the color can change dramatically, and these finishes reflect that unique quality of the metal. Last month, Symmons debuted Seasoned Bronze, a darker finish with black and copper highlights. “The bronze category has remained popular and continues to grow year over year in bath design,” said Frank Foster, Symmons’ Director of Commercial and Custom Marketing. Delta‘s Champagne Bronze finish (top), which almost looks like brushed gold, looks attractive against natural stone and would work well with any warm or neutral palette. 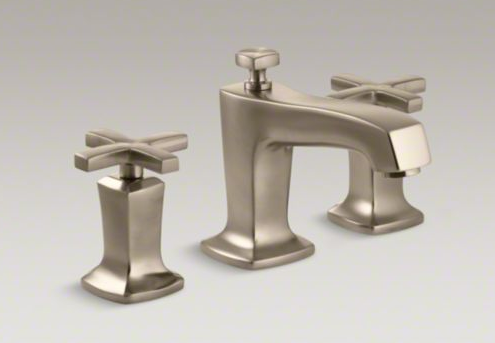 While a shiny brass or gold faucet might conjure up images of tacky 80s bathrooms, this brushed finish has a rich, sophisticated feel. 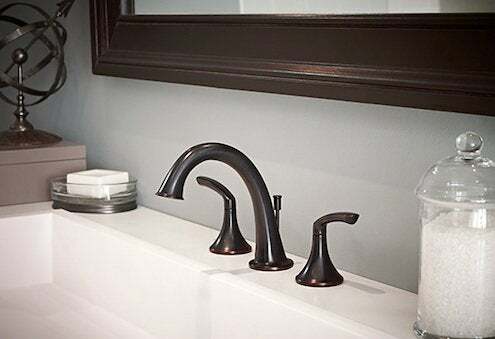 Delta also offers a darker, near-black Venetian bronze finish that’s super versatile. 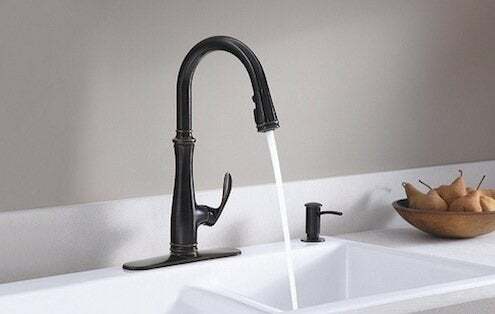 Over 400 Kohler products are now available in their Oil-Rubbed Bronze finish, hand-brushed with hints of copper coming through. Paired with a white farmhouse sink, it gives a kitchen a more casual, country look. The company’s Vibrant Brushed Bronze, below, has a more modern feel to it. 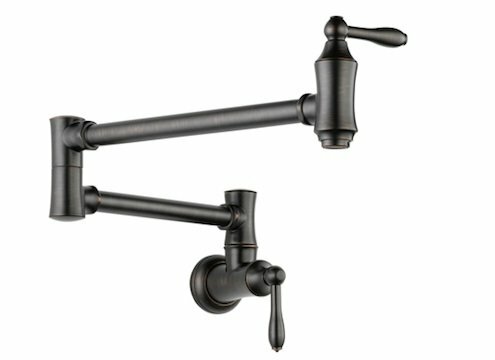 Kohler's Margaux bathroom faucet in Vibrant Brushed Bronze finish. 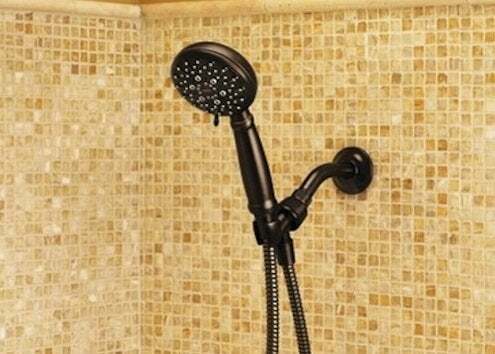 Moen‘s Mediterranean bronze has a more consistent rich chestnut hue, with some lighter highlights. The color plays nicely off the sand-colored mosaic tiles. With all its variations, bronze is a good pick for old-world style interiors, like a Victorian powder room or a Craftsman kitchen. But some of the lighter finishes would look just right in a modern, zen bath. A darker bronze faucet can also be mixed and matched with other metals for an eclectic look.